I met with a mentor recently that truly took a critical look at our blog and helped us identify what was working well and what needed to be refreshed. Sometimes it takes someone from the outside to come in and tell you what needs to be changed. An unbiased opinion that can truly help you appreciate what is in front of you but also strive for the best outcome possible. This is true of our blog as well as our personal lives. We must continuously refine what is working and what needs to be tweaked for the best life possible. Backing down from my tangent, today I am excited to give you a tiny glimpse into the behind the scenes process of how the changes took place. 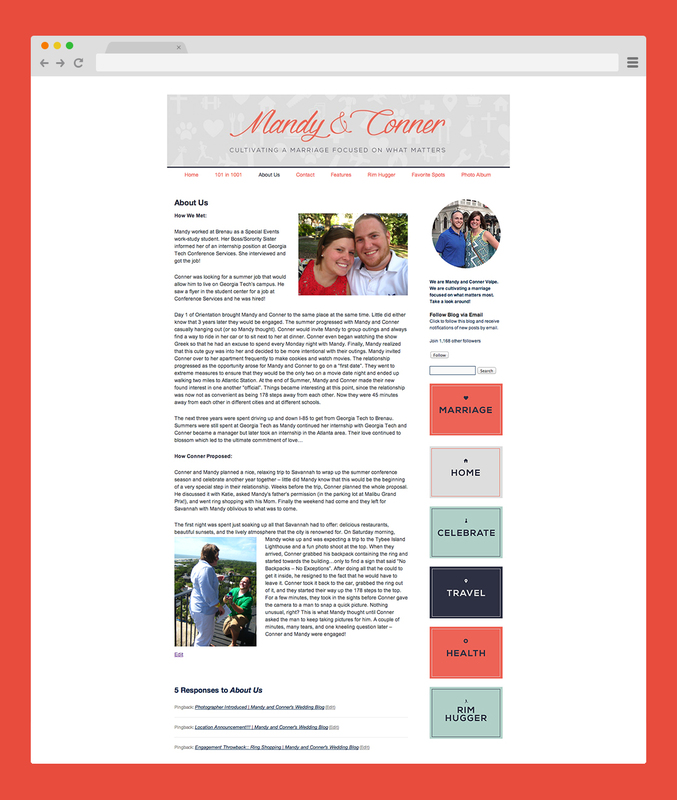 Our blog was initially created as a space to document our wedding planning and prep work for marriage. It was a landing page for our wedding guests to visit so that they could see the behind the scenes of what was going on to prepare for the big day. After we got married, it quickly transformed into a spot to document our newly married adventures. Today, it still serves that purpose, but more importantly, it serves the purpose of showing the adventures and missteps involved in the early days of marriage. By no means are we perfect, but we do feel like our story will help inspire someone else who may be struggling in the early days. For someone who may be feeling like they are the only ones encountering challenges when they were promised a happily ever after. With that all in mind, we decided to make a shift in the design to highlight what makes us tick now. 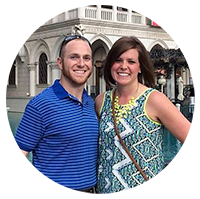 Our Faith in Jesus, traveling, cultivating a meaningful marriage that focuses on what matters, finances, and our family. We have experienced a transformation in our health, our minds, and our love for each other that we want to share on this blog and beyond. Our new design from the talented Jess Creatives now encompasses those themes and helps us to inspire others. Explore the new site and comment to let us know what you enjoy reading about and what you would be interested in knowing about us! This entry was posted in Inspiration and tagged about us, blog design, inspiration. Bookmark the permalink.